A variety of visit programs are offered throughout the year to meet your needs. 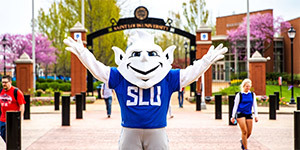 For dates, descriptions, and registration, go to slu.edu/visit. Jesuits: 50 Jesuits teach, study, and minister at SLU. 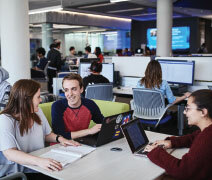 Founded in 1818, the University fosters the intellectual and character development of nearly 13,000 students. Building on a legacy of 200 years, Saint Louis University continues to move forward with an unwavering commitment to serve a higher purpose while seeking a greater good.With nearly 90 undergraduate programs and more than 100 graduate and professional programs, students from all 50 states and 78 countries travel to SLU to pursue a top-notch education in a broad range of studies. 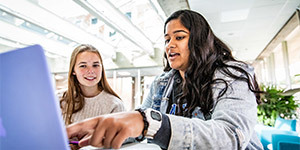 Students take advantage of SLU’s highly ranked programs in Business, Law, and Engineering; special opportunities such as direct-entry Nursing and Health Sciences programs and early admission to the University’s medical and law schools; and an extensive list of study abroad programs. The St. Louis metro region boasts nearly 2.8 million people, with approximately 320,000 residents in the city itself. From world-famous cultural gems to an active and diverse population and a vast array of internship and other professional opportunities, St. Louis has all this and more packed into a large city that ranks #1 on Business Insider’s list of affordable places to live and work in the US. St. Louis has also been named #2 on Glassdoor’s 2018 list of “Best Cities for Jobs.” The city is home to the famous Gateway Arch, nine Fortune 500 companies, and a variety of cultural, historical, and sporting attractions. SLU’s very own Chaifetz Arena adds to this list, as it draws in thousands of people year-round for various music, entertainment, and sporting events.